This morning I was awakened by the sad news that Reverend Michael K. Wilson, former pastor of St. John MIssionary Baptist Church of Oceanside, CA and New Bethel Missionary Baptist Church of San Diego, CA went home to be with the Lord on Friday, November 2, 2012. I met Rev. Wilson many years ago when I arrived in California in 1991. He had grown up in ministry at the Calvary Baptist Church of San Diego under the ministry of the late Dr. S.M. Lockridge. When I moved to San Diego, I would run into him at various Progressive District events and we worked together in the cabinet under the leadership of Dr. Clyde Elliott Gaines. I was Corresponding Secretary/General Secretary and he was Recording Secretary. He would eventually become Vice Moderator under the leadership of Dr. G.A. Williams. He was also a friend to my wife and her family. For several years, he lived in Sacramento, CA and was a member of Shiloh Baptist Church, under the leadership of Rev. Clifford W. Cheathon, Sr.
His services are pending. We certainly want to express our condolences to his family, church members, and friends. Michael Keith Wilson was born May 2, 1960 in San Diego, CA to Joe Glen Wilson and the late Rubie Lee Wilson. Almost five years later, his parents brought home a baby sister, Valerie Rachele, but he wanted a brother. It didn’t take long, he changed his mind and learned to love, protect and lookout for his little sister. Michael and his family were all members of Calvary Baptist where the late Dr. S.M. Lockridge was the pastor. He accepted Jesus Christ as his savior at a young age and was baptized on February 5, 1967 by Rev. Lockridge. He loved, admired and respected Dr. Lockridge for his leadership and knowledge of the Word of God. As a young man, Michael was active in church. He was a member of the Youth and Junior Usher Board, the Youth Choir, and was a Sunday School Department Secretary. Twice as a teenager, he won the State Oratorical Contest held by the California Missionary Baptist State Convention. Continuing into his adult life, he remained active in church organizations. He held several offices in the District Association, State Convention and the State Congress. He also served as 3rd Vice Moderator for the Progressive District Baptist Association. Michael received his primary education in the San Diego Unified School District. He attended Henry Knox Elementary, Loma Portal Elementary, Collier Junior High School and graduated from James Madison High School in June 1978. While in school, he was a member of Ozzie’s Marching Band and Madison High School Marching Band. He was a skilled musician and played several instruments. During high school he excelled in sports. He played basketball, but his greatest love was football. Michael received a scholarship to Long Beach State, where he continued to play football. He had a dream to one day play in the NFL. He received his Bachelors of Science Degree in Business Administration with a double major in Management and Marketing. In January 1983, Michael announced his calling to the ministry and preached his first sermon in July 1983 at the Greater Ebenezer Missionary Baptist Church in Los Angeles, California where Dr. Solomon L. Drake is the pastor. He was ordained by Pastor Drake on November 7, 1984. On June 9, 1984, Rev. Michael Wilson and Renee A. Beverly were united in Holy Matrimony in Los Angeles, CA and he became Daddy to Anthony “Tonee” P. Sherrill, II. This union was blessed with two more sons, Andre Rene Wilson and Austin Keith Wilson. He attended Fuller Theological Seminary in Pasadena, CA from 1985-1986, where he began his studies for his Master’s Degree. He also studied at the Golden State School of Theology in Oakland, CA and most recently Andersonville Theological Seminary online curriculum. Rev. Wilson lived and worked in several cities. He and his family moved to Bakersfield, Los Angeles and then to Sacramento, CA. He worked as a Revenue Officer for the Internal Revenue Service. After the death of his mother, he and his family returned to San Diego. 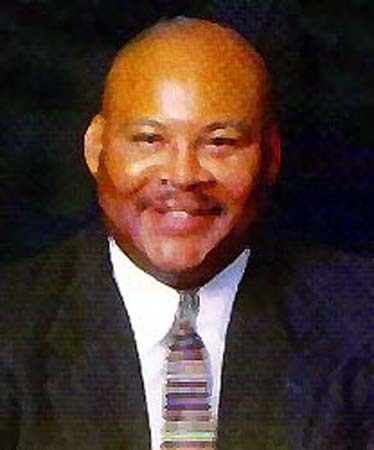 He worked as a Claims Adjuster and Supervisor in the Insurance Industry, a Council Representative for the late San Diego City Councilman George Stevens; he served as Executive Director of the Urban Housing Corporation for the San Diego Urban League. Over the years, he became very active in the community serving on numerous boards, neighborhood organizations and political groups. In December 1994, Rev. Wilson was called to become pastor of New Bethel Baptist Church in San Diego, CA. He served faithfully and proudly as Pastor for 14 years. On January 16, 1999, Pastor Wilson and Patricia Anne Rawls were united in Holy Matrimony and he welcomed his new family members: Andre Sturkey, Cianna Sturkey and Bethany Williams. This union was blessed with one daughter, Dominique Patrice Wilson. In January 2009, Pastor Wilson accepted his second call as pastor at St. John Missionary Baptist Church in Oceanside, CA. He had a great love and respect for the former pastors of St. John Missionary Baptist Church, Pastor Thomas W. Davis and Pastor Anthony C. Frazier. He served in the church and community faithfully. In addition to his ministry, Rev. Wilson had a love for outdoor sporting activities. He loved to go fishing and just relax. His favorite experience was the annual Deer Hunting Trip in November to Seguin, TX with his father and brother-in-law. It was a great time to bond and share family time with the men in his family. Rev. Wilson loved the Lord with all of his heart. He was dedicated to his ministry and Christian service. He was a blessed man having had tremendous experiences and relationships with many people. On Friday, November 2, 2012, Rev. Michael Keith Wilson was called home to his resting place. He leaves to cherish his memory, his wife, Patricia Wilson; his father, Joe G. Wilson; godmother & aunt, Rosie D. Fitzgerald; Seven children, Andre Sturkey (Kimberly), Tonee Sherrill (Rhasaan), Andre Wilson, Cianna Sturkey, Austin Wilson, Bethany Williams and Dominique Wilson; grandsons Khyri Wilson and Judah Sturkey; sister, Valerie Morris, brother-in-law, Brian Morris; nephew, Kendrick Morris, niece, Valencia Morris, god sisters & cousins, Carol Williams and Vanessa Brown and many Aunts, Uncles, Cousins and Friends. Reverend Michael K. Wilson was born May 2, 1960 and went home to be with the Lord on November 2, 2012. Viewing – 3:00 p.m. to 7:00 p.m. Viewing – 10:00 a.m. to 11:00 a.m.
Reverend James L. Moore, Pastor of the New Paradise Baptist Church, will deliver the Eulogy. Dr. G.A. Williams, Moderator of the Progressive District Baptist Association, will be the Officiant. Condolences may be sent to Bayview Baptist Church or Preferred Cremation & Burial. Services entrusted to Preferred Cremation and Burial, San Diego, California. We are saddened to hear of the homegoing of our friend and brother, the Reverend Michael Keith Wilson. Please know that you have the prayers and spiritual support of this Pastor and Congregation. Please allow me to call him what I called him all of the years I’ve know him, “Michael.” Michael first off was a “Lockridge Man” – he loved his pastor Dr. Lockridge. He quoted him. At times preached like him. Sometimes even talked like him. He loved his pastor. Even years after his passing, he revered him in death. Michael was a “Churchman.” Michael loved the Lord’s church, the Lord’s worship, the Lord’s preaching, and that extended to the District, State and National. Because of his work and family obligations he was not always able to attend, but he would always call to find out how the meeting went, who preached, how they preached, throw in a quick debate, and when’s the next meeting. I had the privilege of seeing him a few months ago when I was visiting the West Coast. He was smiling as always, talking about Church, the Conventions, etc. However, knowing that he is in the presence of the Lord gives our hearts great comfort. We sorrow in his death, but we rejoice in his new life. We mourn his passing, but we celebrate his commencement. We remember his steps on earth, but we find solace in knowing that he now walks on streets made of gold, lives in a promised mansion, and has received his crown of life. May God bless your family and the fraternity of preachers to which Michael belonged to and held membership. I regret that I’m unable to be with you due to previous commitments here, but know that I’m praying for your strength and the preaching ministry of he who will preach words of solace and strength. Thank you for your kind words for our friend. Is your company handling the arrangements ? Mark, is there any update on the services for Pastor Wilson ??? Please let me know or post here when the services have been finalized. I grieved deeply after reading the news about the passing of Rev. Michael Wilson. I have some very fond memories of Rev. Wilson while we worked together in Sacramento during my years at Shiloh Baptist Church. I will remember his cheerful heart and mighty ambitions for the Lord. My prayers and condolences go out to his family and friends. This I believe, he lives with the Lord, Amen. I didn’t know Pastor Wilson or his family. I was in the room next to him when they brought him in the ER. My thoughts and prayers goes out to his family. Kesshea, praying that you are o.k. now! I’m getting there. Thank you. I knew Pastor Michael Wilson when we both were members of Shiloh Baptist church. We used to play on the church softball league. He was a great man and always had a kind word and warm smile. May God bless him family. He will be missed. Pastor Wilson was not only a dear friend but he also married my husband and I. He was my Mission Bay Football Bleacher Buddy for the years as we sat by and cheered our kids at EVERY GAME. He was a gread Dad, and a Great friend and i will truly miss him. I knew “Michael” from his years at Greater Ebenezer Missionary Baptist Church, where he joined as a very young man, probably 22 or so, and where he later received his call to the ministry. As a matter of fact, he visited our church recently, to bring a gift for his “father in the ministry” Rev. Dr. Solomon L. Drake a gift for his 30th appreciation service, back in September. His former church, St. John, came up to fellowship with our church back in the summer of this year. One of God’s saints whom He just took home early….we are sad. Brother Michael Wilson is a distinguished member of Alpha Phi Alpha Fraternity, Inc. He is an initiate of Mu Chi Chapter, Long Beach State University. Our prayers are with his family. May he be gracefully received in Omega Chapter. My Bro. Pastor Michael Wilson.It’s like yesterday. My line Bro. At Long Beach State. Alpha Phi Alpha Fraternity Inc. He was the Rock that kept us together . Oh he was much more to us all. We will always miss his smile, laughter & his giving. God Bless the Wilson Family. My condolences to the Wilson family. Pastor Wilson will be remembered for his great smile and warm spirit. He truly loved people and I will truly miss him. May God give strength to all who loved him. I have known the Wilson family since… prior to Michael’s birth….I always thought of his mom like a big sister and his dad like a big brother to me. Our entire family is saddened by the untimely death of Michael. Actually it seemed ‘untimely’ to us, but God had all of this in His time table! Each of us had something special for him…my husband called him brother, our daughters called him uncle, our son (who was baptized at the Calvary church by him and he preached the ordaination service when he was ordained a deacon), thinks the world of him and I called him my nephew! He was just special to us! We will surely miss him! Our prayers and love continue to go out to this great family as Michael is probably walking and talking with Jesus as he has been welcomed into the arms of his mother! Rest on Pastor M.K. Wilson! It’s been three years now and the tears still fall! I still come here to read the condolences & revel in the memories shared by others. I was just a little girl, a preteen when I met Pastor Wilson. He was a big, mighty man of the Lord. He was my pastor at New Bethel Baptist church and that was the first time I heard a sermon that I was able to understand at my young age! My grandmother (the Late Robbie D. Mitchell) used to drag me all around San Diego all day on Sunday’s following behind him. She loved her Pastor like a son, and I loved him like a father! When she passed away, he took over the reigns and I joined the Wilson kids on Sunday’s. I remember going to eat at Hometown Buffet most Sunday’s, but it had to be the one on University cause dad needed collard greens & that was the only one that had them. As I grew up, graduated high school, went off to the military, had babies–he was there to support and encourage me every step of the way. He was at birthday parties, he was at graduation ceremonies, he was at my baby shower, he dedicated my baby to the Lord and even buried my grandmother…he was all that and then some! I thank God for allowing my family and I to experience his awesomeness for the short time he was on this earth. Three years later and not a day passes that I don’t think about him, after all, he helped to mold me into the woman that I am today.